Freeze Cheese '89 Feminisierte Samen The 'Friesland indica' is a classic strain originally from the Super Sativa Seed club, Holland. Big Buddha Seeds had sourced the seed from the vaults of one of Amsterdam's best coffeshops. After testing, the 'Friesland indica' turned out to be a real classic Old Skool indica strain. The 'Friesland' grows strong with dark green, elegant indica leaves and with classic buds laden with a diamond glisten. 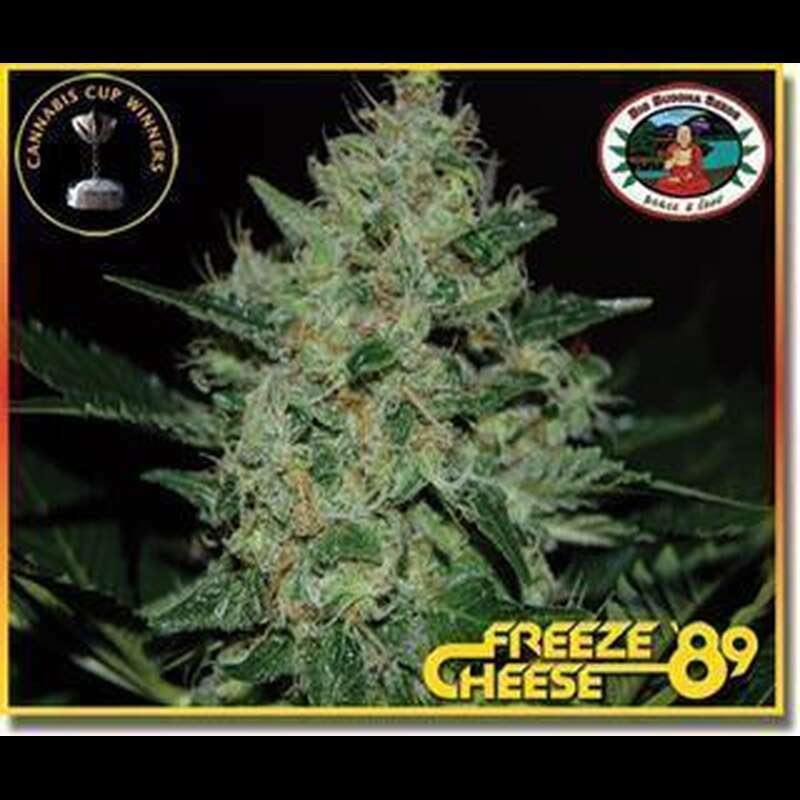 The 'Friesland' was then crossed to our classic strain the 'Big Buddha Cheese' resulting to the FreezeCheese 89, a real frostmaster, easy to grow strong and a good mould resistant plant.